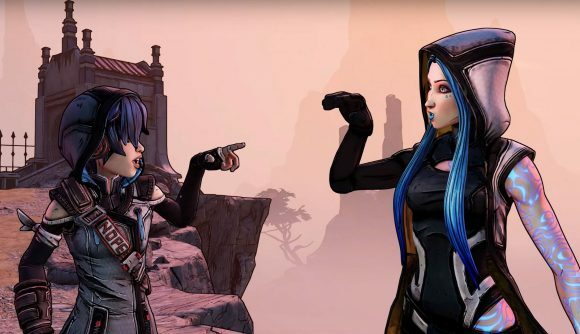 Game developers are somewhat split on Steam reviews in the wake of a recent campaign to review-bomb Borderlands and Borderlands 2 after the announcement that the next game in the series will be a timed exclusive on the Epic Games Store. Gearbox founder and CEO Randy Pitchford suggested yesterday that review bomb campaigns have made him wonder about the wisdom of publishing his company’s games on Steam at all. Vlambeer co-founder Rami Ismail made a similar point, tweeting that the increasing use of review-bombing campaigns has made user reviews a serious issue for developers, and that “platforms without them [are] a safer bet for launch” due to the threat these campaigns pose to a game’s financial viability. That’s basically why review bombing is effective: they use Steam’s user rating system to threaten the income developers make from their games. From the developers’ perspective, why expose yourself to that vulnerability if, years later, you might be punished for a publisher-level decision you had nothing to do with? “The whole idea of review-bombing a game’s previous installments on the platform it is *not* launching on is definitely not a convincing argument for launching it on said platform,” Ismail said. But developers don’t all agree with this read on review bombs. Chet Faliszek, a former Valve writer who worked on Half-Life 2, Portal, and the Left 4 Dead games, responded to Ismail saying that he understands why players are resorting to review bombs. This is undoubtedly the reasoning the review-bombers themselves would give if asked. But as Ismail points out in a response, communication between developers and players has never been more direct thanks to platforms like Twitter and Twitch. Whatever the more convincing case may be, Valve rendered the discussion somewhat moot by instituting a system that automatically detects review-bombing campaigns and excludes them from its aggregate user score on games’ Steam pages. Borderlands and Borderlands 2 were the first games to see this system in action: Valve has excluded more than 4,000 recent negative reviews from their user scores.